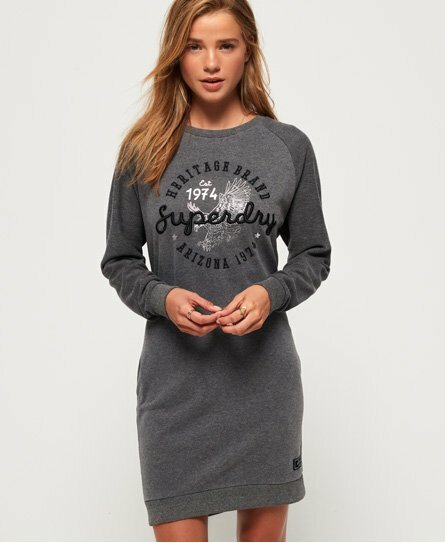 Superdry women’s Taylor sweat dress. A comfy, yet stylish addition to any wardrobe this season. The Taylor features a flattering crew neckline, with American inspired logo detailing across the front in a multi-texture foil and glitter print. The long sleeves have been designed to have a contrasting fabric for a complementary fit on the body. This chic piece has been finish with ribbed cuffs and hem as well as a Superdry patch above the hem for the finishing touch.